A Fiori role based user interface that appeals to both end users and solutions architect alike. End of support – 2025 for traditional SAP ECC system. Here are 3 additional points you need to know. SAP ERP 6.0 to S/4HANA . There is usually the new technology fever, where consultants have little or no information to fully deliver to clients and clients on the hand are full of skepticism which eventually led to a delay in new implementation. The good news is there are tonnes of information available online to help an end-to-end transformation, whether it is a brand new implementation, landscape transformation or a simple conversion. SAP S/4HANA Road map: This happen to be one of my best, with Road map structures, project plan templates and Accelerators. SAP Best Practises Explorer: Provides detailed accelerators on SAP Best practices, standard process flows and steps. SAP HANA is SAP’s in-memory, column oriented relational database introduced in 2013. Aside the rather whimsical name that originated from Hasso Plattner’s love for an island in the Hawaii Island( Hana Bay), this database is known for its high speed performance and ability to produce real- time insights. 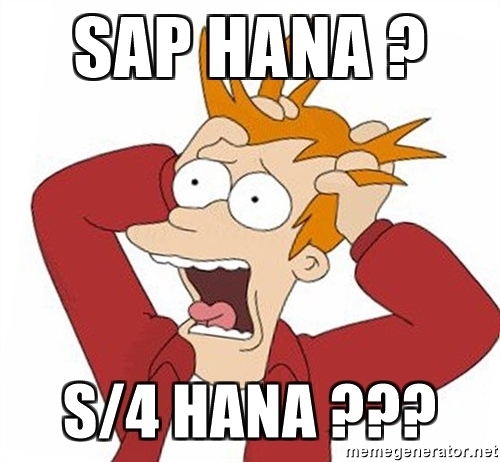 As we tried to get around this innovation, SAP hits us with something better SAPS/4HANA. A solution that solves all the problems we cried about. SAP S/4HANA is an enterprise system that is built on the SAP HANA database, a Fiori user interface, and simplified business suite that can be deployed on premise, in cloud and hybrid.